Summer is ending, but this doesn’t mean you have to let your garden containers go to waste. Plenty of flowers will bloom well into the cooler months, plus plants with beautiful foliage that can withstand some colder nights. 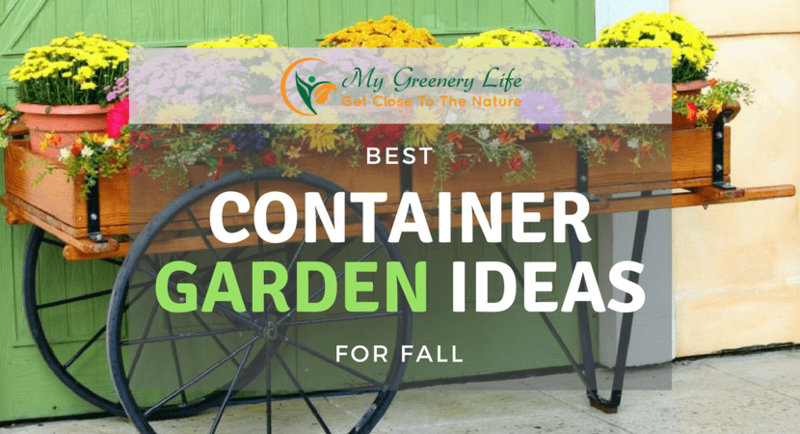 Before you put your containers in storage, let’s take a look at some interesting fall ideas to fill them and keep the visual interest of your container garden after summer is over. One way to make a dramatic statement is by using complementary colors in your fall container. Fall yellows and oranges are opposite on the color wheel from purples and blues. When you put them in the same pot, it’s a dramatic contrast. Use orange and yellow in the middle, or the tall portion of your container, and around the edges. Add pops of blue and purple in between. Some hardy blue plants include decorative kale and some sedum varieties. Pair these low-growing plants with tall ornamental peppers or the red “Sparkling Burgundy” heuchera, and tuck in some yellow violas to complete the look. These require regular water but can tolerate some shade in the afternoon. However, for the brightest colors, full sun is recommended. 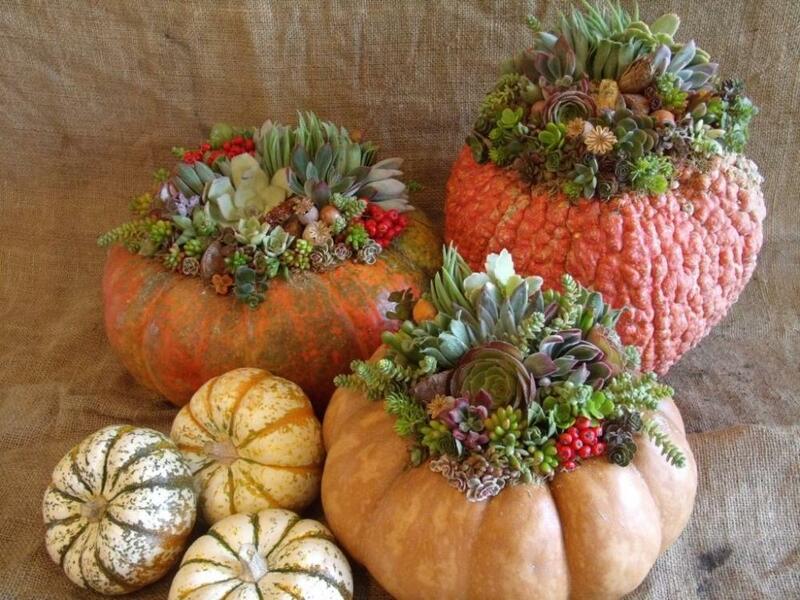 Pumpkins can form the centerpiece of a container arrangement. Simply carve out a large sized pumpkin enough to fit a plastic pot into the center. Pair this with a simple arrangement of purple and yellow pansies, or a single arrangement of burgundy mums for a more dramatic monochromatic look. Take the pot out to water it so that the water can drain away from the pumpkin. If moisture remains in the bottom of the pumpkin, it will cause the pumpkin to decay much more quickly. 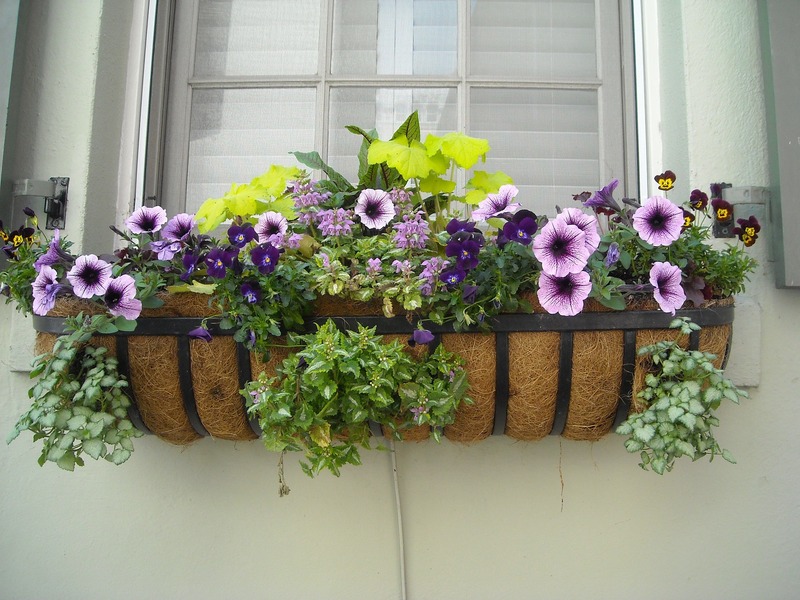 If you have window boxes, you can create visual interest by combining evergreen plantings and fall flowers. The stunning silvery green of many spruce varieties provides an interesting contrast to colorful flowers and foliage. Dwarf spruce is an attractive conical shape. Plant these in a single row towards the back. Fill in with purple ornamental kale and low growing yellow pansies for a dramatic look. Make sure you water regularly because spruce requires even watering, but the boxes should have excellent drainage. Keep your box in full sun. A container filled with exotic foliage and grasses can be a way to increase visual interest around your front door or steps. An easy way to create an impact is to use architectural grasses in a planting. In a round container, plant a tall grass such as purple fountain grass. Around this, plant red coral bells to grow to medium height. Finally, plant a sweet potato vine for a shock of lime green that can trail over the side of the pot. Water this about once a week and make sure it gets full sun to encourage bright color. The arrangement should last up to your first frost, or longer if you don’t have frost dates. You can use two or three different pots to create a layered look. Simply fill the bottom and largest pot halfway with soil and place the second, medium-sized pot on top of the soil. Fill in the soil the rest of the way around the pot and plant violas. Violas will bloom well in cold weather and retain their color. Repeat with the second pot and the third smallest pot. Plant violas in the remaining pots until you have three tiers of flowers. Keep violas watered and make sure that all the pots have adequate drainage. Violas will tolerate some shade, but prefer full sun when temperatures drop. You can also sprinkle in Johnny Jump-ups, a similar but smaller flower for more visual interest. 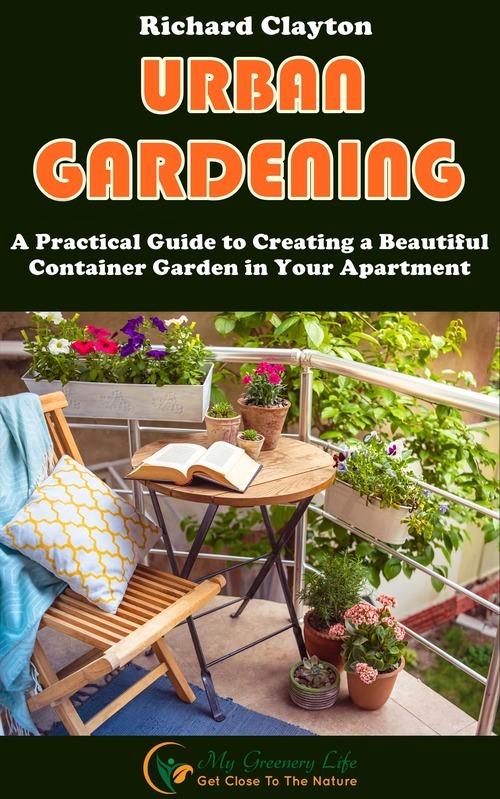 Are you planning to continue your container gardening in the fall? Which type of planting will you choose? Let us know in the comments below!